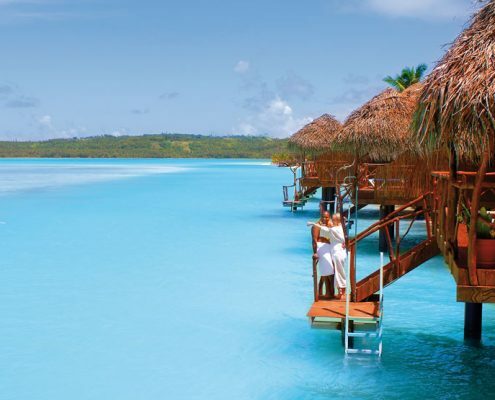 Resting on its own private island encircled by pristine champagne-sand beaches, Aitutaki Lagoon Resort offers unparalleled panoramic views of stunning Aitutaki Lagoon and the small islands (motu) floating in the horizon. 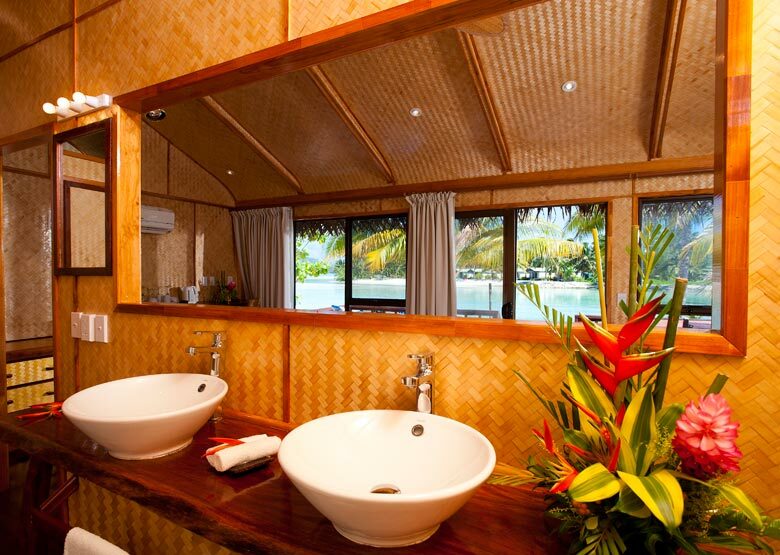 The resort’s 36 bungalows offer a distinctive Polynesian experience with spacious interiors, thatched roofs and tropical style furniture. 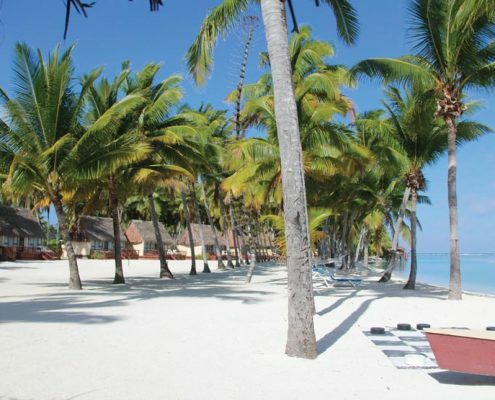 Each bungalow features a private verandah with sun loungers and outdoor furniture, and is located close to all-tide swimming beaches. 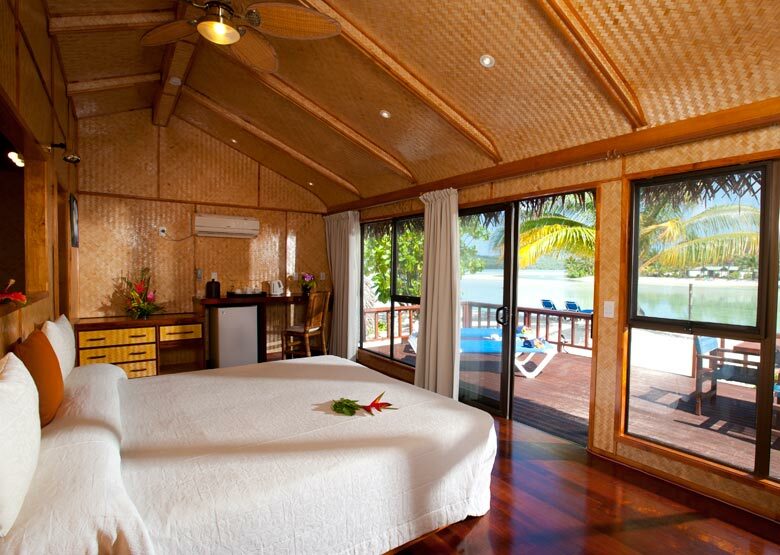 Spoil yourself in an Overwater Bungalow, complete with refreshing open-air shower and direct access to the inviting lagoon waters. 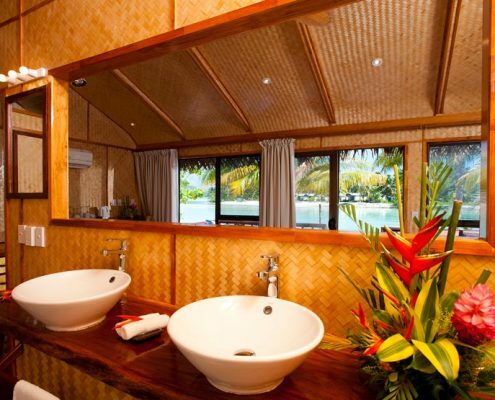 The Royal Honeymoon Pool Villa (Villa Te Arau) is designed for luxurious tropical living. 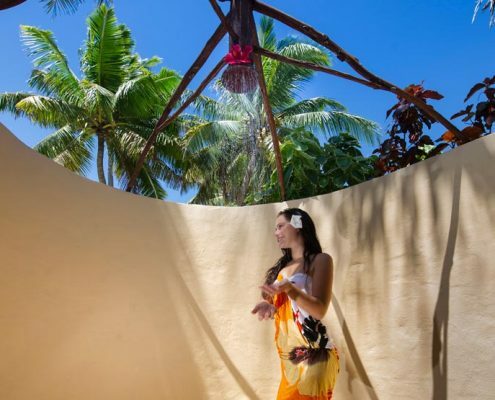 Fully enclosed in its own lush private garden, the villa features a draped 4-poster bed, glorious open-air rainshower, a private pool flanked by a hydrotherapy spa, a thatched daybed pavilion, and a full designer kitchen with indoor/outdoor dining. 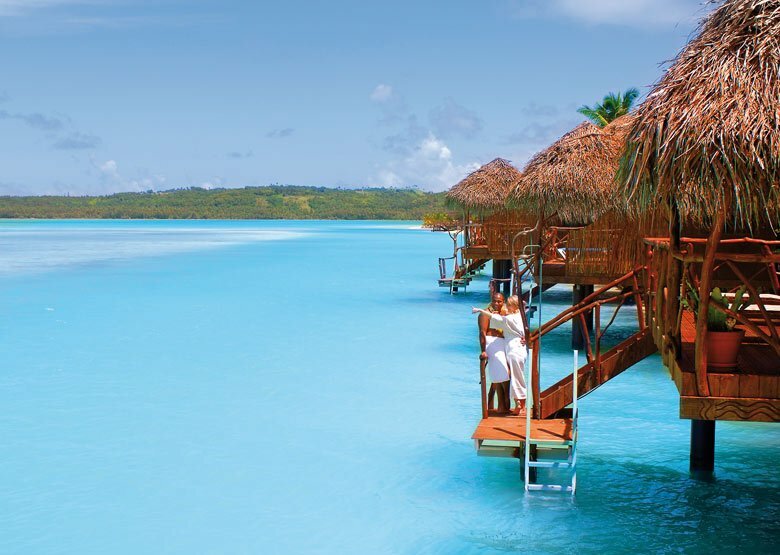 Laze in a beach hammock, slip into the luminous lagoon, ease into a soothing massage or facial at SpaPolynesia, then relax with a sunset cocktail at the Flying Boat Beach Bar & Grill and gaze out together across the magnificent lagoon as the stars and moon come out for the evening. 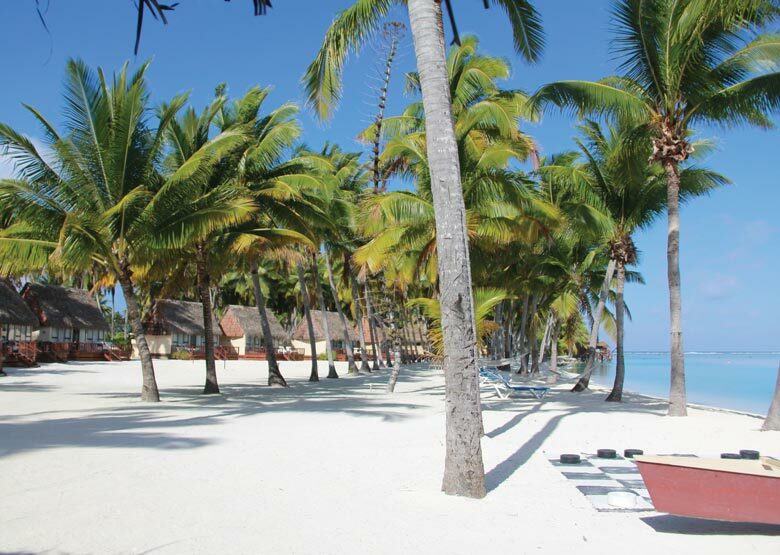 Aitutaki Lagoon Resort is the quintessential wedding destination. 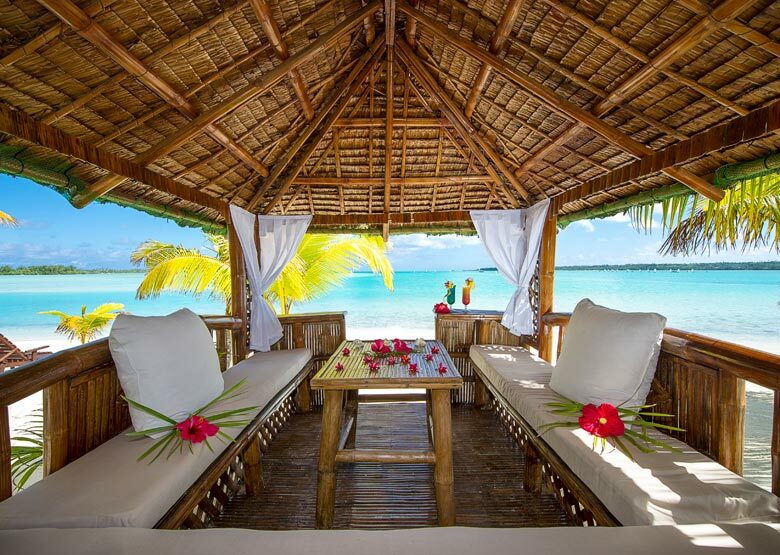 Say ‘I Do’ on the shores of Sunset Beach and exchange vows standing before the world’s most beautiful lagoon. 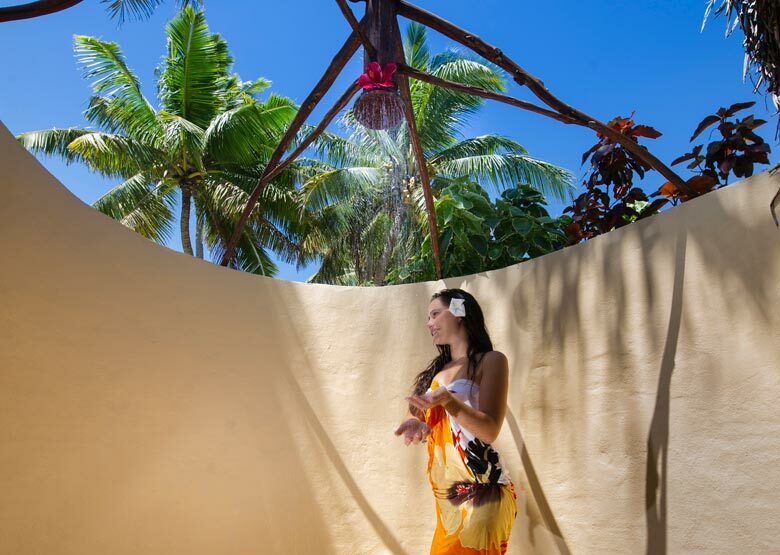 The resort offers a stunning new Beach Chapel with a selection of wedding packages which can be tailored to your dreams. 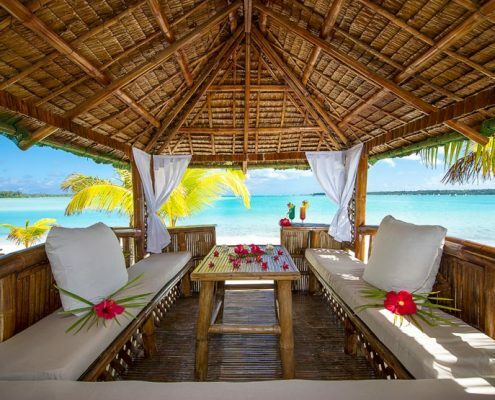 Aitutaki Lagoon Resort is the ultimate romantic hideaway in the heart of the South Seas. Guests 16 year and over are welcome. 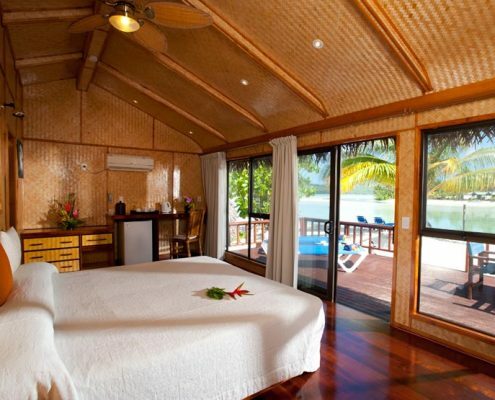 Rooms: 36 in total – Beachfront Bungalows, Premium Beachfront Bungalows, Deluxe Beachfront Bungalows, Overwater Bungalows, Villa Te Arau (Royal Honeymoon Pool Villa).